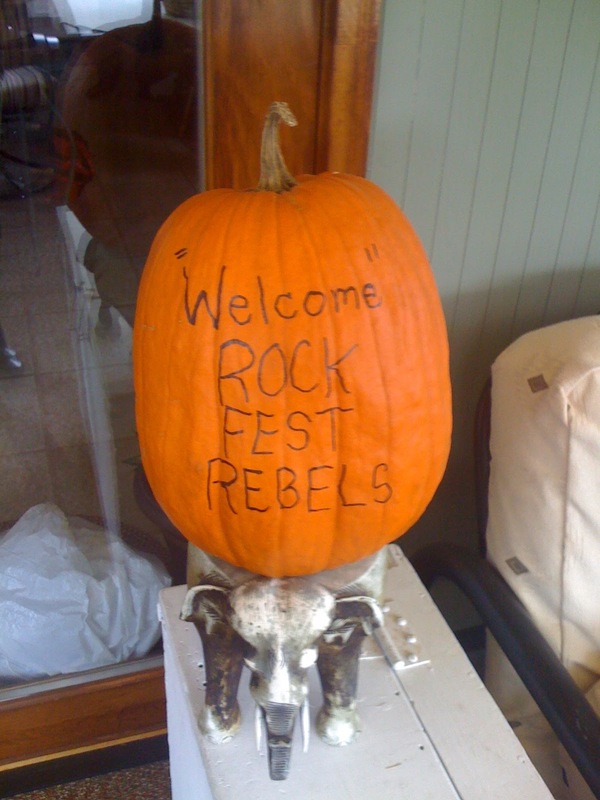 So this pumpkin is here to welcome the rebels, but only ironically. Thanks, Paula. They might leave when they doubt the welcome. Maybe that's the hope. The WV is 'undeeds'. Somehow, that seems appropriate.